Flower color: white. Bloom time: Aug.-Sept. 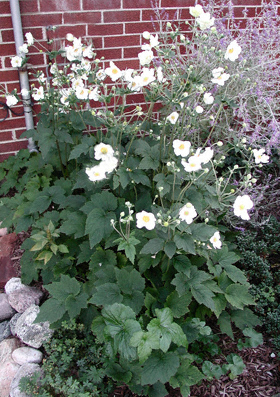 Attributes: white flowers with yellow stamens.